Hi, I have purchased a two bedroom house in Earlston. I require this house to be cleared prior to renovation and letting out. I have attached some photos of the house in the current condition. Would you be able to give me a rough quote to clear the house and lift the carpets please, I do not get the keys till the end of next week and was hoping to get a idea of a price. Scottish care should pick up the bed and the items on it. In the entrance lobby there is an oxygen machine and oxygen canister these should be picked up by the provider. 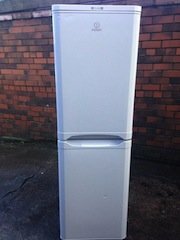 All the white goods in the kitchen do not need removing. All other items need removing including the contents of the outbuilding and garden/yard. 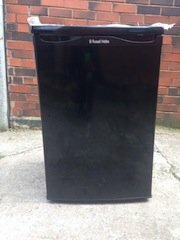 A black under counter, high gloss Russell Hobbs fridge. 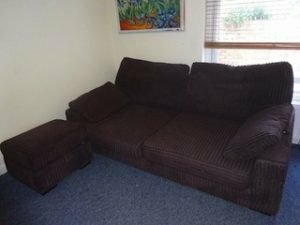 A two seater high back sofa and matching storage footstool, upholstered in chocolate brown corded fabric. 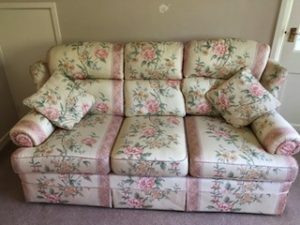 A three seater high back vintage sofa on castors, upholstered in shabby floral patterned fabric. 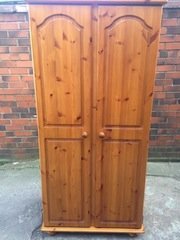 A tall standing solid pine double door wardrobe. 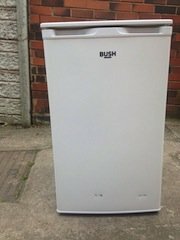 A white Bush under counter fridge. 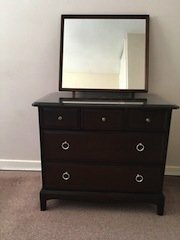 A solid wood chest of drawers, having three small over two large drawers, together with a square detachable vanity mirror. 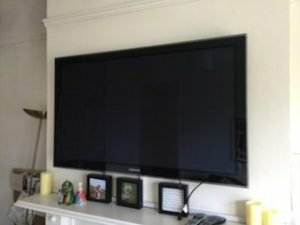 A black Samsung 50 inch flat screen, wall mountable television. 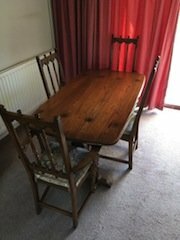 A vintage ecrol rounded edge dining table, together with four high back gothic dining chairs, upholstered to the seats in tropical printed fabric. 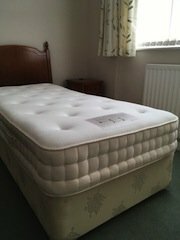 A single floral patterned divan bed base, together with a single mattress and mahogany headboard. 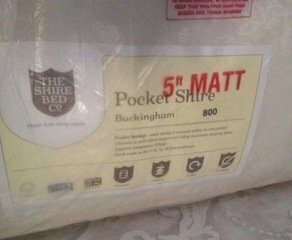 A brand new 5ft pocket shire 800 mattress. 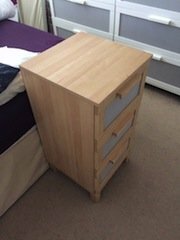 A solid pine bedside unit, having three frosted plastic inlaid drawers. 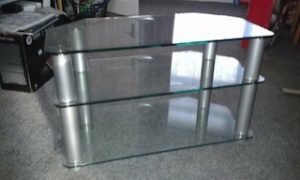 A three shelf glass and chrome television unit. A vintage small brass table lamp, having a glass panelled shade, hand painted with red flowers. 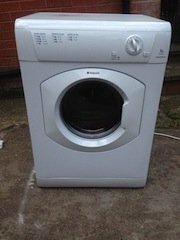 A white Hotpoint under counter 8kg tumble dryer. 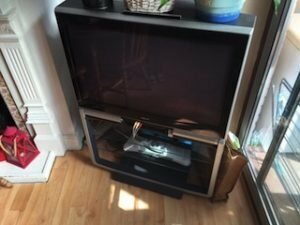 A Toshiba CRT black flat screen television, together with a black and silver removable stand.